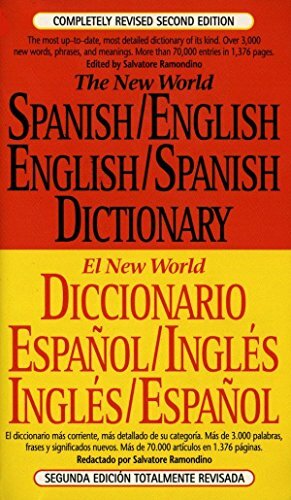 The completely revised, second edition of the largest mass market Spanish/English, English/Spanish dictionary available—with over 3 million copies in print! The most up-to-date, most detailed dictionary of its kind with over 3,000 new words, phrases, and meanings and more than 70,000 entries. Ideal for Students and travelers. Salvatore Ramondino is the editor of second edition of The New World Spanish-English, English-Spanish Dictionary.